In today’s times, non-ferrous metals recovery is extremely popular. Tonnes of non-ferrous metals such as aluminium, copper, lead, zinc and stainless steel are recovered and recycled for industrial usage. Recovery of aluminium is done for packaging while for new copper products. The recycling of copper is becoming more and more desirable and within Europe, 41% is being recycled from old taps, copper plumbing pipes, scrap from copper and electronic waste. The Eddy Current Separator was invented in 1984 by Hubert Juillet, a French thermodynamician. 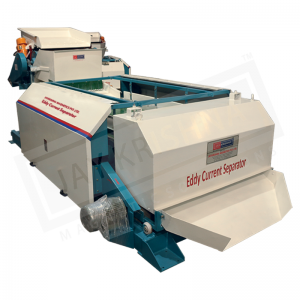 Eddy Current Separators are advanced metal sorting units that has the capability of separating non-ferrous metals such as aluminum and copper from waste which helps to recycle metal in all its forms. 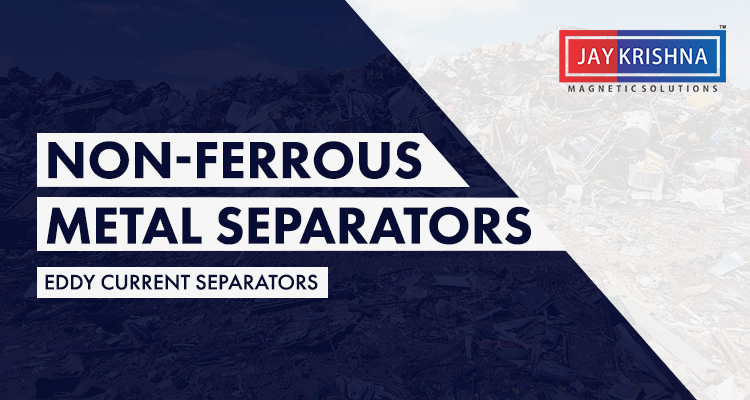 Eddy Current Separators do not work on ferrous materials, which makes it ideal to isolate different types of metal from one another. At Jaykrishna Magnetics Pvt. Ltd., we are the leading manufacturers of Eddy current separators which are designed with the highest possible quality of magnet, crafted with reliability and efficiency in mind. 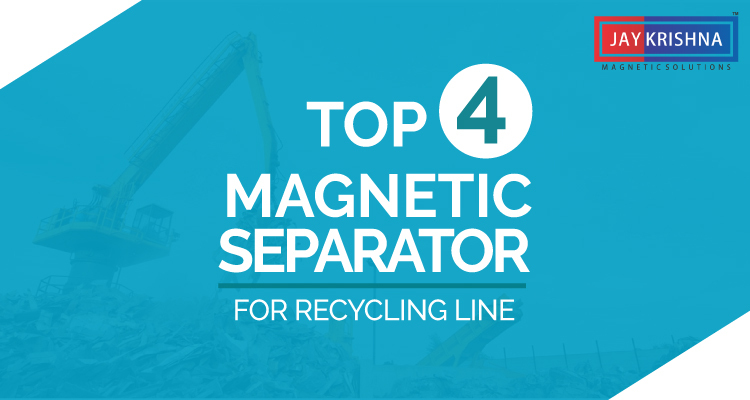 When a piece of non-ferrous metal, such as aluminum or copper, passes over the separator, the magnets inside the rotor rotate past the aluminum at high speed. This forms eddy currents in the aluminum which in turn create a magnetic field around the piece of aluminum. The polarity of that magnetic field is the same as the rotating magnet, causing the aluminum to be repelled away from the magnet. This repulsion makes the trajectory of the aluminum greater than that of the non-metallics, allowing the two material streams to be separated. Eddy current separators work by removing all non-ferrous metals, while everything ferrous is not affected. Essentially, an Eddy current separator is a short conveyor belt that carries the waste and the magnet that will work as the separator. This magnet is located on a non-metallic drum that rotates at high speeds. The high speeds form an electrical current capable of separating non-ferrous metals from the process stream, ensuring the segregation of waste and metal.